Core apples and cut in quarters; not necessary to peel them. Cook until soft, with the water and lemon juice. 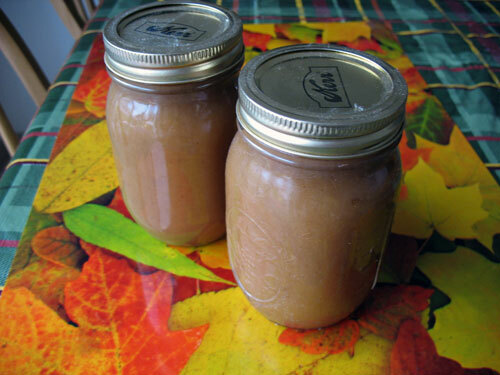 Remove from heat and put contents through sieve or food mill (i.e., make applesauce). Return to kettle and add all other ingredients except liqueur. Simmer, uncovered, stirring frequently to avoid burning on bottom. Be sure to stir more frequently as mixture thickens. It takes about 1-1/2 hrs. to thicken enough. Remove from heat and add liqueur. Seal in sterilized jars. Makes approximately 4 pints.